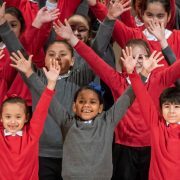 Over 100 excited young artists from the two community choruses of the Young People’s Chorus of New York City in Washington Heights and at Goddard Riverside Community Center, will join together for a buoyant program of music beloved by the singers and sure to delight their spring concert audience on May 11. 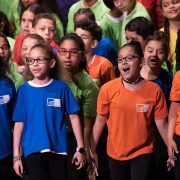 YPC is excited to celebrate the coming of summer with its debut in the historic 3400-seat United Palace, one of Manhattan’s largest theaters. 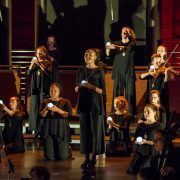 As YPC continues to grow, the United Palace provides the perfect setting for the more than 425 YPC choristers to perform a program music and choreography of extraordinary and astonishing breadth in a space that initially opened in 1920 as a combined vaudeville house/deluxe movie theater.